Our one-bedroom Bayonne apartments as well as our two-bedroom apartments, offer a lifestyle of sophistication, comfort, and convenience you'll enjoy each and every day. Whether you choose the Metro, our one-bedroom floor plan or the Hudson, our two-bedroom option, you'll be able to take advantage of designer finishes and master-planned layouts that aren't like any other in the area. The Metro is our one-bedroom apartment, with gorgeous living space. The Metro features a large master bedroom with walk-in closet, high ceiling and oversize full bathroom. The master bedroom walk-in closet offers ample storage space; there are also extra closets throughout the unit as well. Kitchens are adorned with state-of-the-art appliances and offer plenty of cabinets and beautiful granite counter space. Entertain guests or enjoy relaxing evenings in your expansive dining and living room and enjoy plenty of sunlight streaming through the large windows in every home. Welcome each and every guest into your home with inviting entryways with beautiful hardwood floors. 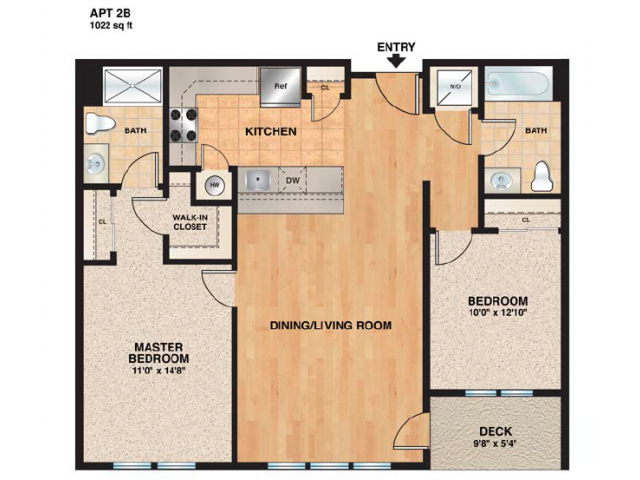 The Hudson is our two-bedroom, two-bathroom floor plan that offers large space to enjoy. The master bedroom features its own private full bath, as well as two closets including a huge walk-in closet for storing all your belongings when not in use. The second bedroom is conveniently located next to a second full-bathroom and also features an large double-door closet. Enjoy private entry to your own balcony from the dining/living room, and take in the soothing natural sunlight that streams into your home through large, beautiful windows. Kitchens are large enough to cook delicious meals and are master-planned for easy access to everything. You'll appreciate the beauty of the high-end stainless steel appliances that are included, as well as the pantry, ample counter space and more than adequate cabinet space.  Entryways are large and inviting, welcoming you home every day you're a resident at Camelot at Bayonne. Regardless of which floor plan layout you choose for your luxury apartment in Bayonne, NJ, you're sure to love every minute spent with us! Call us today to schedule a tour of our sophisticated apartment homes at (866) 659-3496.